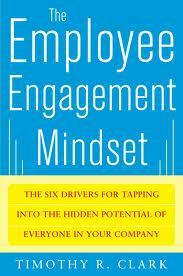 Highly engaged employees get results with energy, passion, and purpose. They stay longer, innovate faster, and execute better. They are the ultimate competitive weapon of our day. Organizations with highly engaged employees outperform their rivals in operating income (19 percent), net income growth (14 percent), and earnings per share (28 percent). Highly engaged employees are more productive (43 percent), and more likely to remain with their employers (85 percent). The bad news is that only 25 percent of employees in North America, Europe, and Asia are highly engaged. Most contribute only a fraction of their talent and discretionary effort. The bigger challenge is doing something about it. Searching for the secret sauce, organizations chase everything from gimmicks to highly complex theory. Rarely does any of it work. In some cases, organizations see a boost, but it doesn’t last. What’s missing in all of this? A closer look at high engagement reveals two remarkably consistent patterns: (1) The highly engaged take personal and primary responsibility—they own their own engagement; and (2) the highly engaged apply six drivers as personal patterns and only expect the organization to play a support role. In addition, most high performance organizations incorporate the same six drivers as deep organizational systems. The Six Drivers of Engagement™ represent the integration and distillation of all major streams of engagement research and practice. On an individual level, they represent “personal processes”. On an enterprise level, they represent “organizational systems.” Most approaches to engagement are narrow, incomplete, and temporary. The Six Drivers create immediate, measurable, and sustained impact to increase retention, productivity, and overall performance. Working together, employers and employees learn how to integrate their complementary roles to make the Six Drivers real and lasting at the individual, team, business unit, and enterprise level.